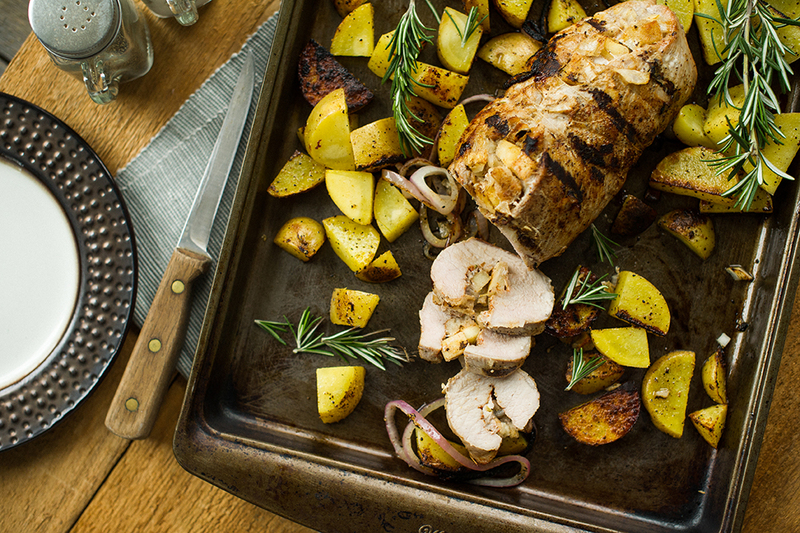 Try grilling up an apple stuffed pork tenderloin for a fresh new take on a classic cut! In large skillet, heat olive oil over medium-high heat. Add onion, apples and rosemary. Sauté until softened. Remove from heat and gently stir in bread cubes, egg, butter, salt and pepper. Add chicken broth gradually until everything is moistened. Preheat Indoor/Outdoor Grill to setting 4. Let stuffing mixture cool completely before putting into pork loin. Spoon stuffing down pork, horizontally, in line. Roll pork over stuffing, jelly-roll style, ending with seam down and fat side up. Lightly score fat, in diamond pattern, with sharp knife. 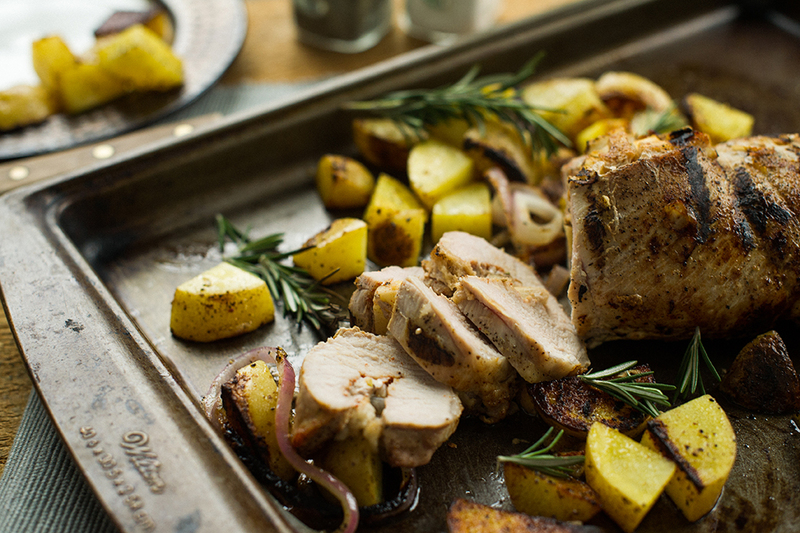 Tightly tie pork roast up with butcher's twine and season with more salt and pepper. 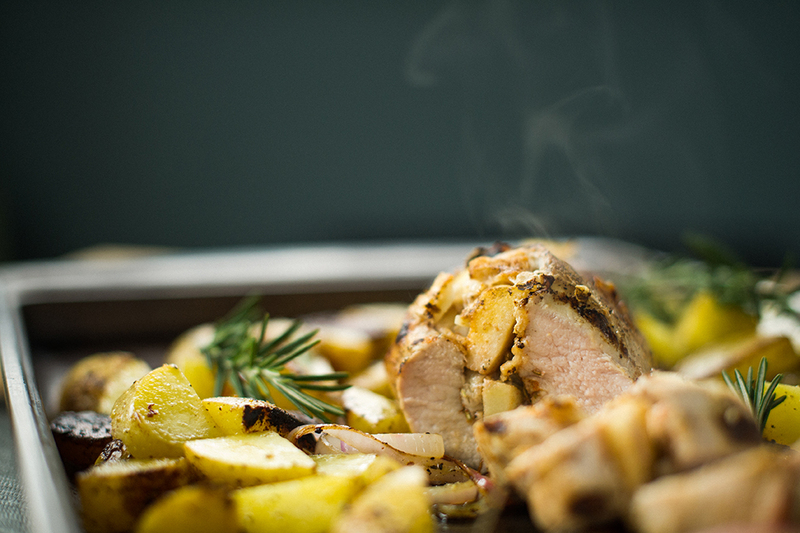 Once grill is preheated, grill pork for 20 minutes per side or until meat thermometer reads internal temperature of 165°F. 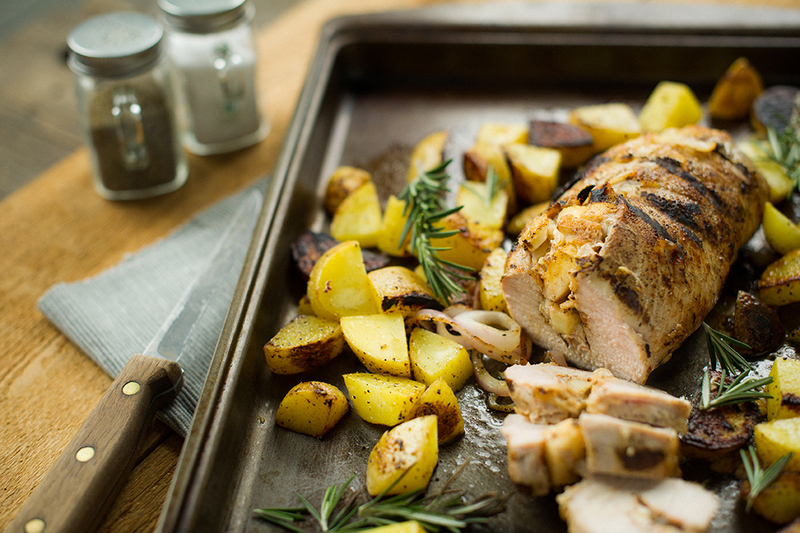 After cooking, remove pork from grill and allow to rest 15 minutes before slicing and serving.